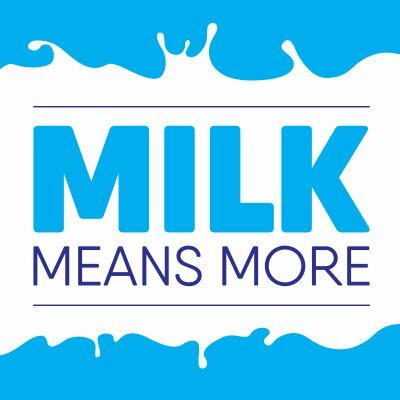 My husband Geert and I moved with our three young children to Marlette, MI from the Netherlands in 1999 and established our dairy farm, Goma Dairy Farm, LLC. Five years after the farm was established in Michigan, I felt like my world was getting very small. I worked with the cows, I talked about the cows, I even dreamed about the cows! One day shortly after I became aware that I wanted something to think about aside from the cows we care for each day, I was reading the paper and saw an ad for hospice volunteers. With my background in nursing, I felt like that ad was placed just for me. I applied, took the two-day class that was required and became a hospice volunteer. 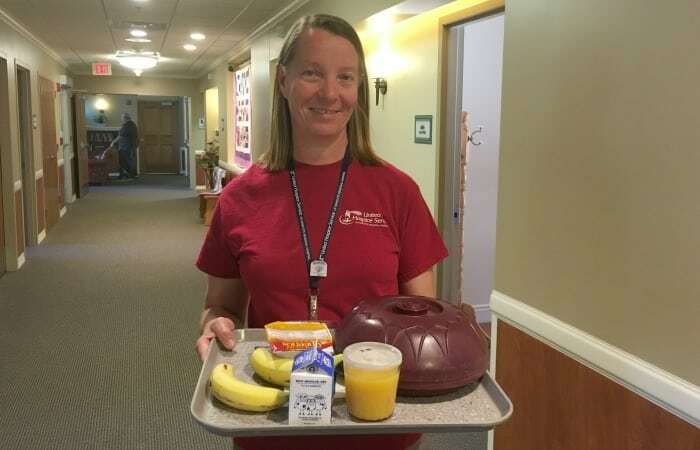 I started volunteering at the hospice residence house fourteen years ago, and I have a designated spot every week for my volunteering — Wednesday mornings. Everyone at the farm knows I will be gone on Wednesday mornings, and I am able to work with the farm team to make sure my chores all get done so I can get to the hospice residence house. There is a big misconception when it comes to a hospice residence. Yes, at times people are sad and cry because a loved one is getting close to passing away or has just passed away. But there is also room for laughter, sharing memories and making new ones, enjoying a homemade treat one more time or having a dog sleep on your lap. Families who have been caregivers to their ill relatives can go back to being the spouse, daughter or son again because they don’t have to give around-the-clock care anymore. That might be the biggest gift hospice has to give. 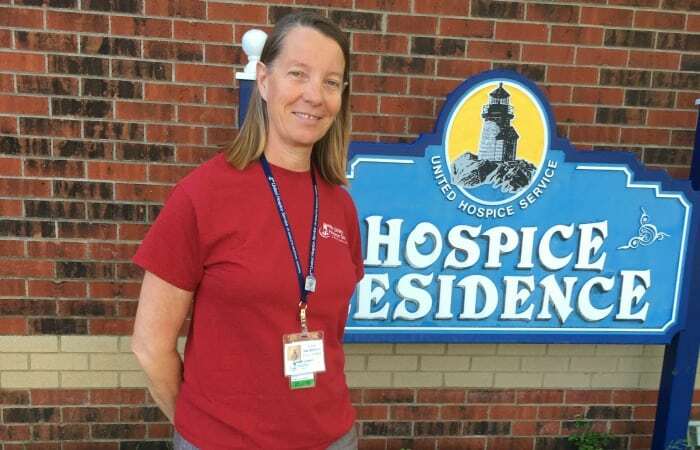 As a hospice volunteer, I do whatever needs to be done the day I am there. Some days I make coffee; some days I play board games with children; and some days I sit with someone who just needs a listening ear. For some people, it’s safe to talk to a volunteer because they only see me once a week. It’s really amazing the stories they share and the things I learn about their lives. Regardless of what I’m doing, I feel it’s a great privilege to be a part of somebody’s last months, days, hours or even minutes. Dying is a very personal thing. I feel that it’s a blessing that I’m allowed to be in that setting and it’s something that keeps me very grounded. In reality, we’re all chasing things in life that are important, but when you’re with people who are at the end of their lives, it really puts things into perspective. Often times, I think I get even more out of it than the families that I’m able to help. 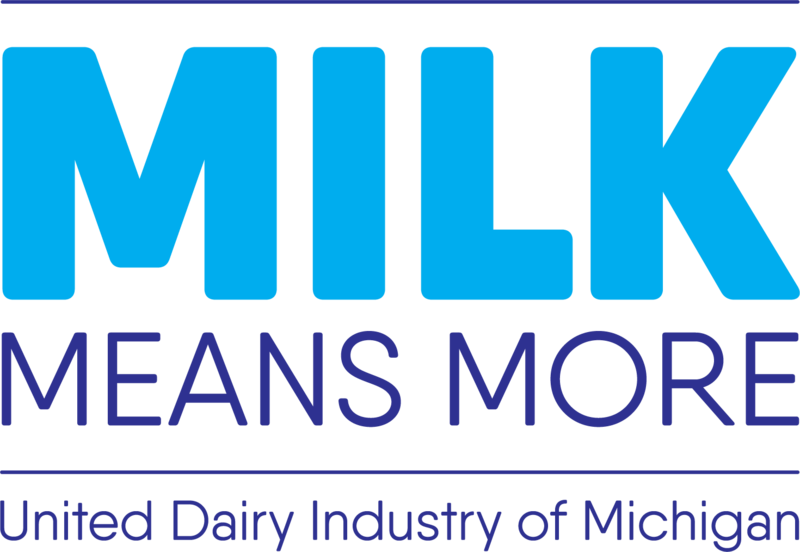 Head over to the Meet Our Dairy Farm Families page to learn more Michigan’s dairy farm families! Thank you for volunteering your time. I know first hand how much hospice helps families .